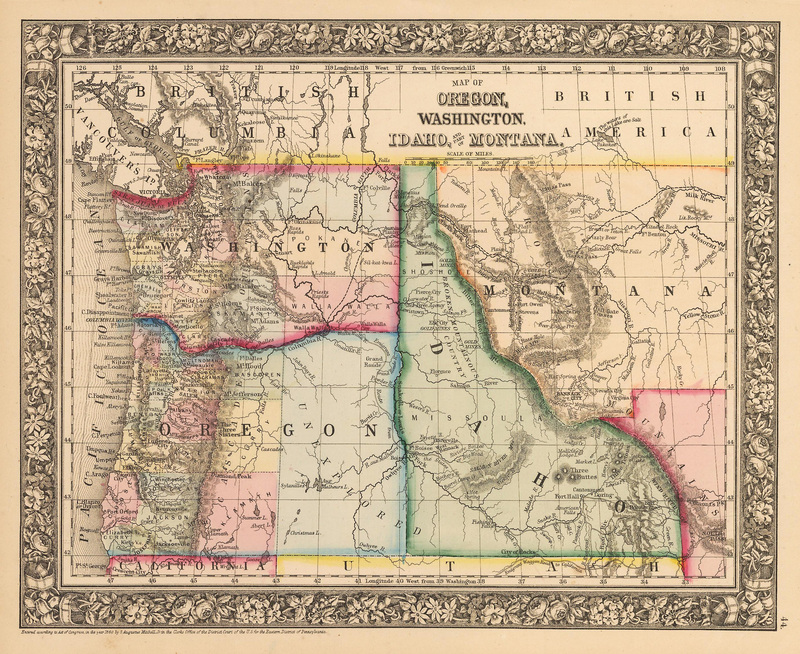 This is an authentic, antique lithograph map of western Montana, Idaho, Oregon and Washington by Samuel Augustus Mitchell Jr. The map was published in Philadelphia as part of Mitchell's New General Atlas of 1862. It is color coded by county and notes important transportation routes, towns, and cities throughout. A large portion of eastern Oregon is labeled “Unexplored.” The map is surrounded by an elaborate floral boarder that distinguished Mitchell’s works from other map makers of his era.